On February 10, 1840 Queen Victoria of the United Kingdom marries Prince Albert of Saxe Coburg Gotha. 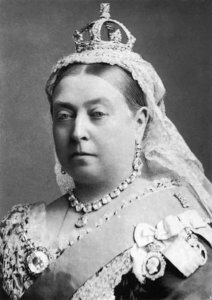 Though Victoria was now queen, as an unmarried young woman she was required by social convention to live with her mother, despite their differences over the Kensington System and her mother’s continued reliance on Conroy. Her mother was consigned to a remote apartment in Buckingham Palace, and Victoria often refused to see her. When Victoria complained to Melbourne that her mother’s close proximity promised “torment for many years”, Melbourne sympathised but said it could be avoided by marriage, which Victoria called a “schocking alternative”. Victoria showed interest in Albert’s education for the future role he would have to play as her husband, but she resisted attempts to rush her into wedlock. Victoria continued to praise Albert following his second visit in October 1839. Albert and Victoria felt mutual affection and the Queen proposed to him on 15 October 1839, just five days after he had arrived at Windsor. They were married on 10 February 1840, in the Chapel Royal of St James’s Palace, London. Victoria was love-struck. 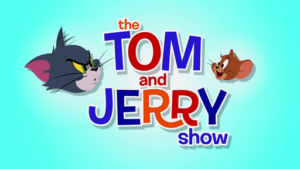 On February 10, 1940 Tom and Jerry make their debut with Puss Gets the Boot. There is not a single one of us who have not seen Tom & Jerry, or don’t recollect the cat & mouse chase. This adorable duo forms an important part of our growing up years. But over a period of time, they too have evolved. Let’s travel back in time with this classic pair.